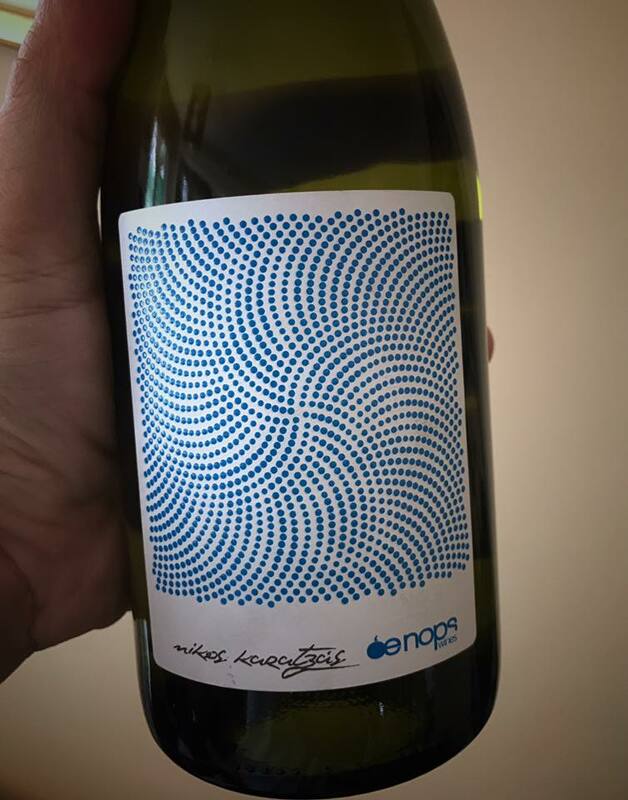 An intriguing new set of wines is now part of Oenops Wines by winemaker Nikos Karatzas. The series is named Oenops, there is also the Apla line - up and includes 4 wines, a Vidiano from Crete, two Xinomavros from Trilofos and a Limniona from Thessaly. Karatzas is a pioneer in winemaking. He has paved the way for the new generation of Greek wines which are relieved from new oak; a course which is completely on the other side of what we are used to up to now. 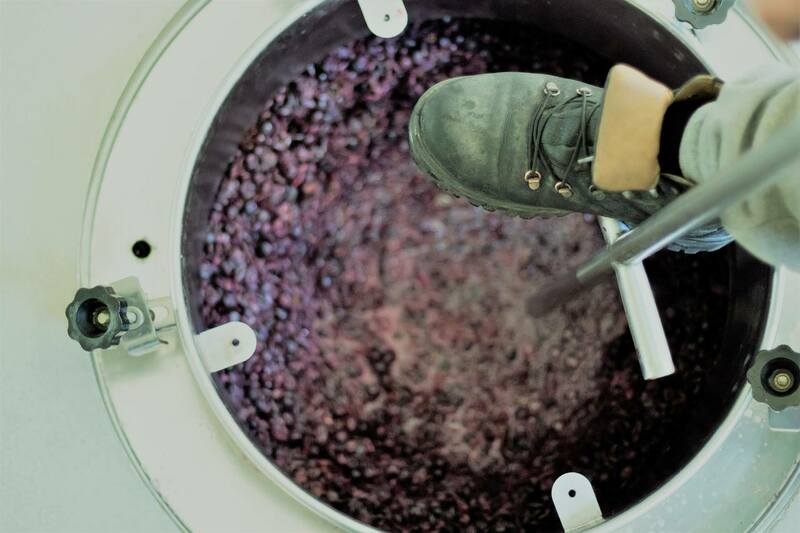 For example, while he does not exclude barrels for fermentation, maturation occurs only in inox and amphoras so as to attain ultimate fruit purity. Hallelujah! Vidiano comes from the mountainous vineyards of Heraklion. It is spontaneously fermented in inox, amphora and oak, blended soon and then matured on the lees for 6 months in exclusively 400 lts amphoras. 2016 is relatively floral on the nose, somehow tight on the palate, with excellent balance of acid and weight. A small production of just 1300 bottles and restrained alcohol at 13% abv. It is more to the mineral side but has developed nicely over the last few months (89/100). 2017 on the other hand, scheduled to be released in June, is fatter and more Vidiano in its expression with purity of fruit, precision and elegance (90/100). Retail price fro the domestic market is €14.20. Packaging is also quite innovative including an illusion of the name of the variety while for the first time the name of Nikos Karatzas appears on the label. Another illusion perhaps? Xinomavro from Trilofos in Naoussa also appears with an alcohol level of 12.8%, which shows that Karatzas has no insecurities when it comes to the maturity of the grapes. 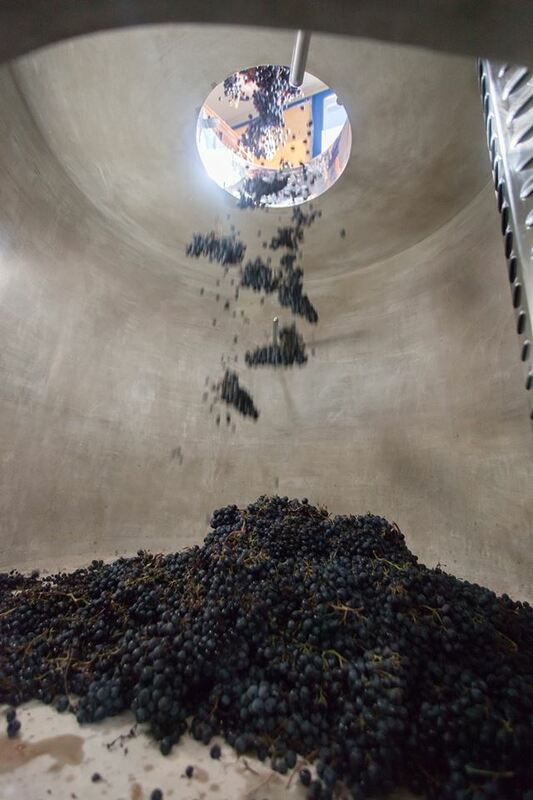 This wine is 80% fermented in a cement tank (shown below) and 20% in open barrels. ''All of my barrels are either lightly toasted or almost untoasted and I basically use them only for fermentation that will not affect the aroma of the fruit'' he comments. The wine is splendidly floral, its entrance on the palate is sweet and evolves to the tannic but non-astringent character of the variety. The fact that it has such a multitude of aromas although the alcohol is so low, should serve as an example to be imitated. (92/100). Retail price fro the domestic market is €16. The finale came with the tasting of a Limniona, more in the Zafeirakis style than in the Theopetra, with grapes sourced from 25 year old vineyards in Thessaly. Nikos, quite upset, confesses, “for just three months I did not get an adjacent vineyard which was planted with 100 year old Limniona bush vines that were finally ripped out”. Fermentation here is 60% in amphora with the rest in 500 lt oak. Alcohol is at 13% and the release is again 1300 bottles. Exotic fruit spices, black fruit, slightly meaty. Fuller than the Xinomavro, with a deliciously confident character. (92/100). Retail price fro the domestic market is €15.10.